…. and Arboretum is added to our name. In 1999 we became an Arboretum. 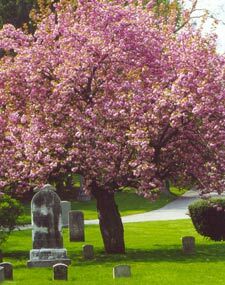 With our collection of vibrant plants, majestic trees and shrubs, the Cemetery’s designation as an Arboretum was a natural choice. 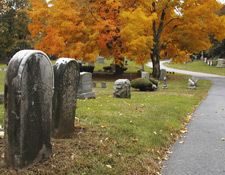 Our cemetery grounds provide a haven for birds, pond and stream dwellers and other wildlife, while offering a place of inspiration and enjoyment to visitors. 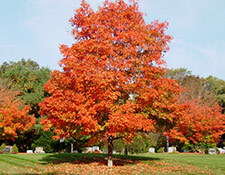 The designation of the Cemetery as an arboretum supports our commitment to preserve and protect the Cemetery’s natural beauty and historic qualities.Mount Hope was the 4th cemetery to join the membership of the American Association of Botanical Gardens & Arboreta (AAGBA), which sets the standard for over 400 public gardens across the country. Quite a feather in our cap as one of our trustees said with a smile.